This is one of the most unusual spoons which I have seen. Front and Back views of this spoon. was designed to be heavier which was a common quality found on old handmade spoons. indicates that it was well designed. 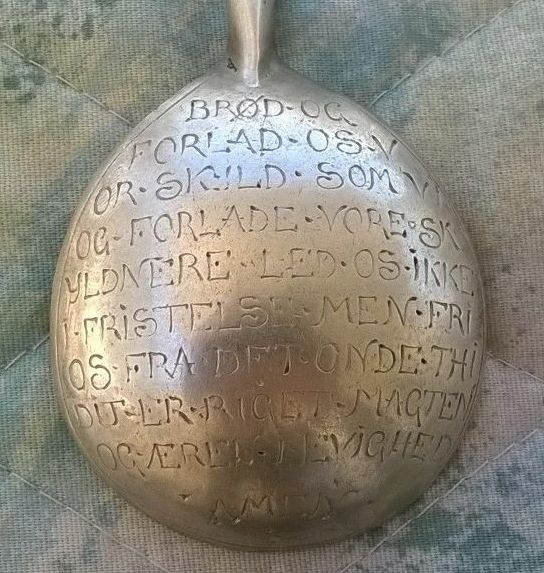 I have never before seen such extensive lettered engraving on a spoon bowl. 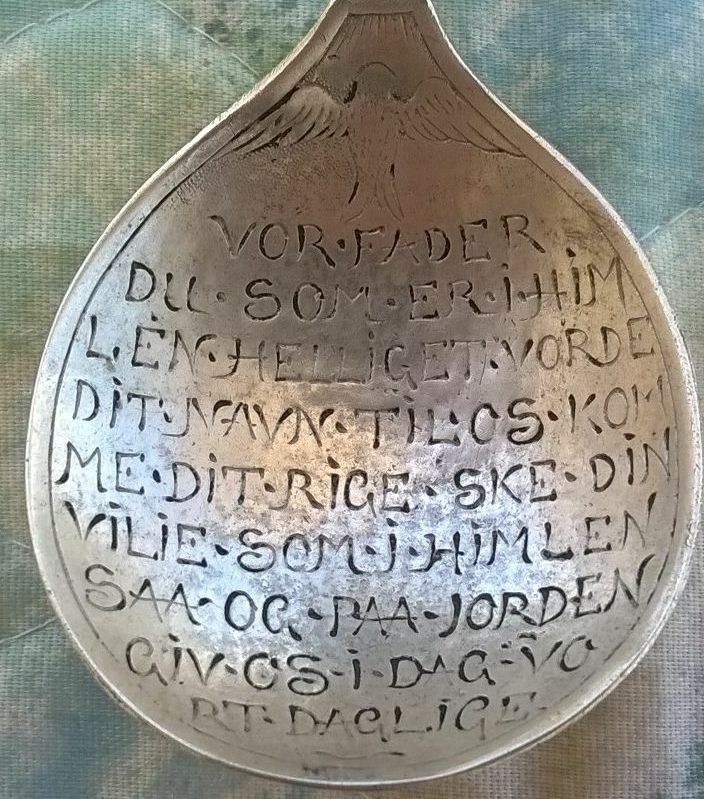 The front and back of the bowl is engraved with the Lord's Prayer in Danish. The exact choice of words has changed over the years, and somebody who is more in tune with these changes can help me date the spoon. Please contact me if you have this knowledge. The bird at the top front is a common Christian symbol. I suspect that this spoon was made for use in a church service (possibly baptism). Silver designed for use in a church was often not marked because ideally it would never be sold. closeup views of the engraving. The four spoons below are images of spoons from the 1600's which I found on the web. As you can see, most of the elements of design on my spoon can also be found on contemporaneous spoons.